While Troop 284 is scout run, we are fortunate to have a vast resource of experienced and dedicated adult leaders constantly supplemented by our new Eagle Scouts and senior scouts. Like all Scout troops, Troop 284 has a chartered organization. Ours is the Kiwanis Club of Copiague. The adult leadership starts with the Chartered Organization Representative (COR.) The Scoutmasters (SMs) and Assistant Scoutmasters (ASMs) participate on the front line with the scouts on campouts, at community service projects and in the weekly meetings. The committee, headed by the Committee Chair, also attends meetings but most importantly serves as the backbone of the troop keeping enrollment, advancement records, finances and much more in order. With our balance of experienced and new leaders, the adult leadership in Troop 284 gives our scouts the opportunity to fully tap into tried and true methods along with the very latest in scouting. 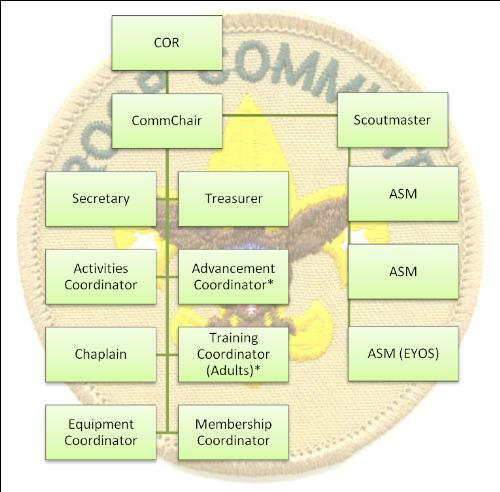 All of Troop 284's adult leaders are fully and recurrently trained per the Boy Scouts of America’s requirements. Other training programs that our adult leaders take include Scoutmaster Position-Specific Training, Basic Leader Requirements, Outdoor Leader Skills, Outdoor Programs for Scouting BSA, Patrol Method for Scouting BSA, Ideals and Beliefs of Scouting BSA, Scouting Organization for Scouting BSA, and many more.